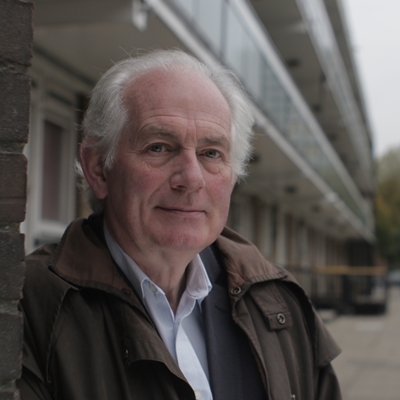 Dan Cruickshank’s new series for BBC Four reveals the stories behind the houses the people of Britain live in. From the terraces of the industrial North to the high-rise towers of East London or the cottages of rural Warwickshire, Dan will be taking on the role of house detective as he traces how and why each flat, terrace or cottage was built. Join him in conversation with Jonty Claypole as he talks about why the British home has ended up looking the way it does. Not for broadcast. The BBC Four series, in partnership with RIBA and made by Oxford Film & Television, broadcasts this spring.